On 2/19/19 the Sangoma S205 was pronounced End of Life by the manufacturer. For a comparable replacement, please check out the Sangoma s206 SIP Phone. Simply what you need from Sangoma. You asked. 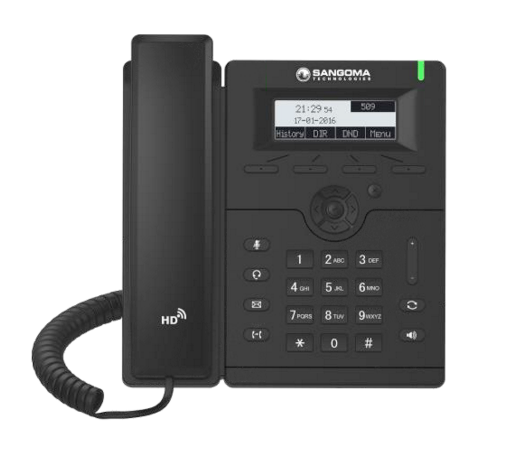 We listened.The Sangoma S205 is a basic SIP phone that is an ideal, low-cost option that helps to remove the barrier to entry into the VoIP world. With Sangoma's Zero touch Provisioning, PBX endpoint manager and Sangoma support and maintenance the S205 has everything you need to get started.